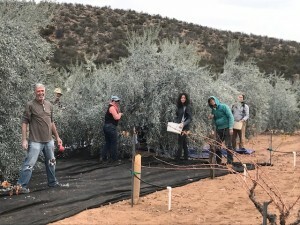 While most of the olive trees at Condor’s Hope produce olives best for making oil, we have 8 trees of a Greek variety that make wonderful cured olives. 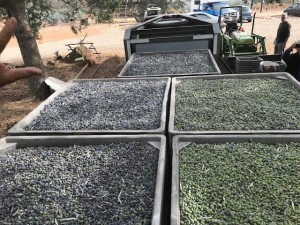 We’ve been experimenting for several years with home curing and the recipe below has produced irresistible olives to enjoy and share with friends. Let us know how yours turn out! Place freshly harvested olives in a glass, ceramic, or plastic container. Do not use metal. 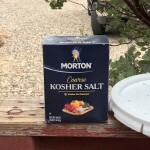 Mix non-iodized kosher or canning salt in a container separate from the olives. 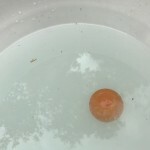 Keep adding salt and stirring until a raw egg in the shell floats to the surface (it might be about 1lb of salt per gallon of fresh, cold water). Pour this brine over the olives until all olives are submerged. Place a plate or round of wood on top of the liquid/olive mix inside the container in order to push the olives below the level of the brine. Cover the container to exclude light. For the first 3-4 weeks change the brine weekly, pouring off the old brine and adding newly made brine in the same way described above. 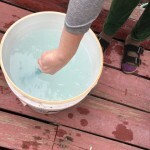 For the next month or so after that, you can go to changing the brine every two weeks. After about a month and half, taste an olive or two to see if the salt brine has extracted the bitterness from the olives to your own taste. If not, change the brine again. If you like the taste, wash the olives with fresh water and “can” immediately as described below. Note: it is not uncommon for a scum to form on the surface of the brine between changes. Just skim it off when you change the brine. 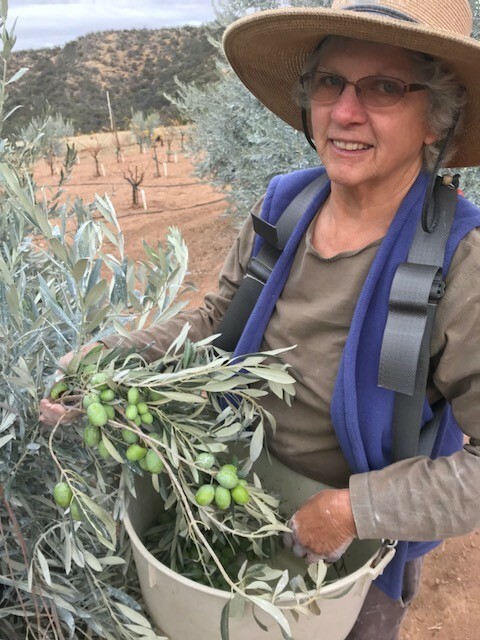 Once the olives have reached the taste you prefer, you are ready to “can” the olives in canning jars, using whatever size you want. First sterilize the jars and lids. Fill the canning jars with washed olives up to about ½ inch from the top. Insert flavoring items to taste, such as a clove of garlic, a sprig of rosemary, a piece of lemon rind, or a slice of jalapeño. Pour the hot mixture over the olives in the jars, leaving about ¼ inch of room at the top. 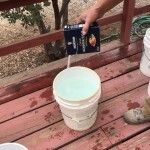 Float enough bulk olive oil over the top of the solution to form about an 1/8 inch thick layer to seal out air. Seal the jars and let cool. Do NOT heat the jars of olives. 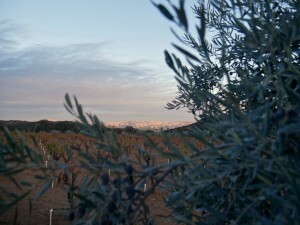 Place in a cool, dark location, letting the olives “cure” for about a month or so before beginning to consume.